KUALA LUMPUR, Malaysia – February 16, 2016 – Dell today announced the availability of the Dell Data Protection | Endpoint Security Suite Enterprise, which integrates Cylance technology using artificial intelligence and machine learning to proactively prevent advanced persistent threats and malware. As part of this solution, Dell also announced the availability of a new post-boot BIOS verification solution for Dell commercial PCs, which allows customers to ensure their device remains free from malware during the boot process. The post-boot BIOS verification solution will be integrated on Dell commercial PCs with the purchase of the Dell Data Protection | Endpoint Security Suite Enterprise license. The new BIOS verification functionality uses a secure cloud environment to compare and test an individual BIOS image against the official measurements held in the Dell BIOS lab. By conducting this test in an off-device environment, users can be assured that the post-boot image is not compromised as the testing takes place in a secure cloud platform and not on a potentially infected device. The verification helps extend security throughout the entire device lifecycle and provides greater visibility for administrators wanting to stop malicious BIOS attacks. The BIOS verification feature will initially be available on Dell’s range of commercial PCs with a 6th Generation Intel chipset, which includes the widely applauded portfolio of Latitude PCs that were recently announced at CES, as well as select Dell Precision, OptiPlex, and XPS PCs and Dell Venue Pro tablets. With this functionality, Dell strengthens its ability to provide the most secure commercial PCs in the industry today with best-in-class endpoint security solutions from the Dell Data Protection suite, including comprehensive encryption, advanced authentication and leading-edge malware protection from a single source – and now also BIOS verification. The Dell Data Protection | Endpoint Security Suite Enterprise is the only endpoint security suite available today that integrates Cylance technology that employs artificial intelligence to protect against the execution of advanced persistent threats and malware including zero day attacks, and targeted attacks such as spear phishing and ransomware. According to Cylance testing, the new solution offers a significantly higher level of protection, stopping 99 percent of malware and advanced persistent threats, far above the average 50 percent efficacy rating of many traditional anti-virus solutions . No Signatures: The advanced threat protection technology is based on artificial intelligence and dynamic mathematical models with minimal false positives, eliminating the need for constant signature updates. Consolidated Management and Compliance: Endpoint Security Suite Enterprise minimizes the time and resources needed to manage endpoint security by allowing companies to remotely manage all components using a single, non-disruptive console that includes consolidated status and compliance reports. It also satisfies compliance with industry standards, meeting PCI DSS, HIPAA HITECH and Microsoft requirements for anti-virus and anti-malware solutions. Proactive Prevention: Preventing malware significantly reduces remediation costs and employee down time associated with wiping the drive, reimaging the hard disk and reinstalling the operating system and application software. Enhanced Performance and Security: Endpoint Security Suite Enterprise uses a fraction of the system resources, such as CPU or memory, associated with anti-virus and traditional malware solutions. Local detection with no need for a constant cloud connection ensures mobile workers can work where and how they want without worry. 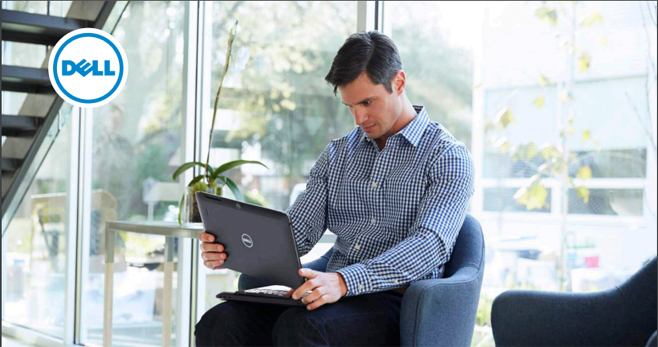 Dell Data Protection | Endpoint Security Suite Enterprise is now available for both Dell commercial PCs and as a security solution across heterogeneous IT environments.